I hate to be the bearer of bad news, but It Shoulda Been You is not the way to go this season. The premise is promising – an old fashioned wedding story of families colliding with a modern twist – but this brand new musical comedy misses the mark. It’s Rebecca’s wedding day, and nothing is going well. Her mother and the groom’s mother aren’t getting along, her ex-boyfriend has gotten wind of the nuptials and is on his way to crash the ceremony, and her sister Jenny, always the bridesmaid, is expected to keep everything together (click here for highlights). The book is weak and offensive. I suppose I might be more forgiving if the score were likeable, but the songs, after an hour and a half, were like nails on a chalkboard to my ears. The lyrics also include gems like, “How you pulled that out of your hat is making me smile like a Cheshire cat.” The music is made up of random notes following one another, trying to force a melody. I was looking forward to Lisa Howard’s 11 o’clock number because that woman has pipes, but I sat there thinking, this is what she has to sing every night? 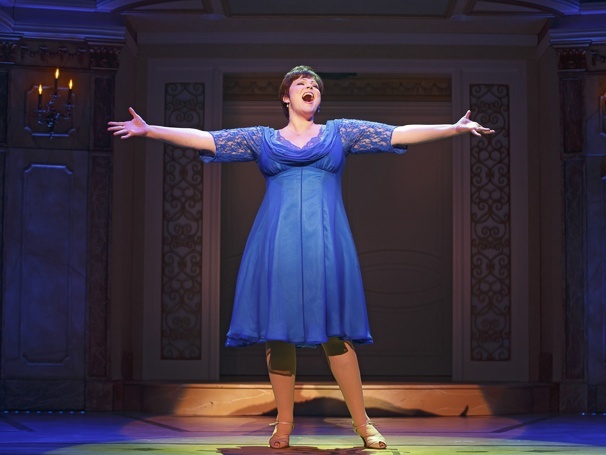 Speaking of my excitement for Lisa Howard, I was so psyched for her to finally have a lead role on Broadway, but there’s a terrible subplot about her weight and her mother’s rude comments. The book is packed with fat jokes, Jewish jokes, black jokes, gay jokes, and alcoholic jokes, but none are smart. Mostly they made me cringe, and I’m not easily offended. I’m typically fine with that style of humor (The Book of Mormon, anyone? ), but when written poorly, it just comes off as mean. What a waste of talent. It’s a fantastic cast full of big names (Tyne Daly, Harriet Harris, Chip Zien, Sierra Boggess, David Burtka), and the brilliant David Hyde Pierce at the helm directing, so I can’t help but wonder what went wrong here. I’ll give it this much: there’s a surprise in the show that neither Matt nor I saw coming, and I don’t know the last time I was that genuinely surprised by a plot shift. But it doesn’t save the show by any means. For a brief moment I did think, “Oh, this will help the story,” but it only made it more convoluted. But really, the show’s tagline is, “You’ll laugh. You’ll cry. You’ll be home by 10.” I mean, what? Their best foot forward is how short the show is?! That’s not gonna cut it for me. It shoulda been better. Thanks for this review. I had been considering this show for June 19, now it’s definitely off my list.